Sweepstakes: 6 Pack Easy@Home Marijuana (THC) Single Panel Drug Tests… | FreebieOrBust Freebies! Let lady luck decide if you deserve to win big! Join Amazon Giveaways for access to the best sweepstakes deals available online. 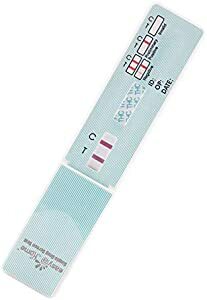 6 Pack Easy@Home Marijuana (THC) Single Panel Drug Tests Kit – Value Pack THC Screen Urine Drug Test Kit – #EDTH-114. The chances of winning this giveaway are 1:300. 10 prizes are currently available. Giveaway hosted by Amazon and Easy@Home.